For the stylish Dad, we love the sleek Dapper Bristol Watch! The watch features deep blue hands, Roman numerals and a date display. Made from genuine Italian leather, the deep brown Bristol strap can be paired with a silver or rose gold case. Dad will look dashing with this exquisite watch! Give your Father the gift of time with Timberland's Bartlett Multifunctional Watch​! With its sturdy leather strap, ion-plated stainless-steel case and chronograph, the Bartlett men's watch will add a touch of rugged style. The watch is water-resistant to 50 meters and will be a gift he cherishes! Surprise your Dad with a classy watch from Daniel Wellington. The Dapper Durham Watch is a great addition to any wardrobe, and goes with all styles and ages. With sophisticated details such as deep blue hands, Roman numerals and a date display, it will always keep Dad on point in an exquisite way. The watch is available with a silver or rose gold case, which is paired with the light brown Durham strap, made from American leather. Your Dad will feel stylish with this unique watch! Get your Dad "fit" in style with Fitbit Blaze! The Fitbit Blaze is a smart fitness watch that helps Dad maximize every workout and every day. With advanced technology in a versatile design, this revolutionary device is built to track workouts, monitor performance stats and gauge progress. The Fitbit Blaze also features Connected GPS, FitStar workouts, sleep tracking and call/text/calendar notifications to help Dad track his day with ease! Dad can also change the band and frames to personalize the Fitbit Blaze for every occasion. With all this and more, Fitbit Blaze has everything Dad needs to reach his goals, packed into one sleek time piece! ​Dress up your Dad with Disney! If your Dad is a fan of Star Wars, he will love Disney's BB-8 Cufflinks set. The set includes two highly polished BB-8 cloisonné cufflinks in shimmering silvertone finish topped by colorful enameled insets. The set comes encased in a high gloss gift box with foam and a faux suede bed - which makes gift giving easy! May the force be with your Dad when he wears your gift! Give your Dad the gift of convenience with Transitions® XTRACTIVE® Lenses. Your Dad can go from indoors to outdoors without having to change frames! The lenses feature extra protection from light and transition seamlessly into sunglasses. The innovative lenses also block 100% of UVA and UVB rays and are designed to work with most prescriptions and frames.​ Have Dad consult with an eye care professional to determine which Transitions lenses are perfect for him! Give your Dad the gift of style with the Timberland Boot Company® Wodehouse Oxford Shoes. 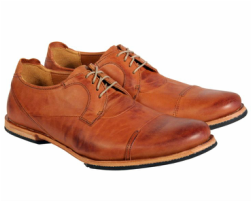 The shoes are smart, modern and contemporary, with lightweight leather providing a well-worn, well-cared-for appearance. The shoes feature a leather outsole with a rubber heel and forefoot insert for traction and flexibility with waxed cotton laces. These will be a gift he doesn't want to leave home without! For the stylish Dad, Dansko Wayne Shoes are the perfect gift to dress up any outfit. The Wayne slip-on shoes include leather upper with goring. The leather sockliner wicks away moisture to help keep Dad's feet cool and dry. The footbed is removable to accommodate personal orthotics. Gift your Dad with comfort with the Chaco Elias Sandals. The timeless slide sandal style merges with outdoors-capable tread design in the leather Elias. Featuring premium full-grain leathers, metal hardware, and soft pigskin lining for comfort. Tribal-inspired emboss crosses the footbed for added style and every pair comes standard with the podiatrist-certified LUVSEAT™ PU footbed! Give your Dad a a flip without the flop! The Chaco Flip Ecotread last way beyond the average summer sandal with smart design and function in mind. Your Dad will love these comfortable quality flip flops! Help your Dad dress for success with The Tie Fix! 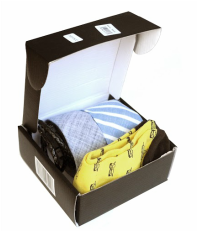 The Tie Fix is a subscription tie and accessories box service that, for a monthly fee will have your guy looking sharp and stylish all year long! The Tie Fix is a perfect complement to every tie lover’s wardrobe. Each month, your Dad will receive a box containing two ties and two accessories (socks, bracelets, or cuff links) that are hip, fashionable and professional. He’ll look like a million bucks and you’ll feel great about a gift that keeps giving! For the rugged Dad, ​The Original Real Deal Brazil Tarp Hat is the perfect gift! The hat is handcrafted in a remote town in equatorial Brazil, where recycling actually informs nearly every aspect of production, from the salvaged tarp scraps being applied as patches on other hats right down to the heavy wire hidden within each brim. That thin band of steel, reclaimed from trash-bound old truck tires, adds yet another element of uniqueness, allowing Dad to shape your own RDB pretty much any way he pleases! The hat has also been seen in the hit movie Zombieland and comes in five sizes! Does your Dad's wardrobe need an infusion of cool? 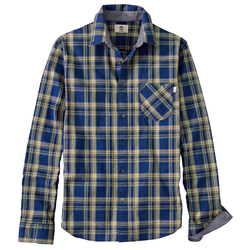 The Timberland Allendale River Slim Fit Plaid Poplin Shirt is perfect for everything from casual Fridays to happy hour at the brewery! The shirt is made from 100% cotton poplin and features a button-down collar with one pocket at the left chest. Your Dad will be stlyin in this cool shirt! Give your Dad a gift that will be useful all year round. The Eddie Bauer High Route Fleece Pullover is made with FreeHeat™ polyester that is designed for all-season performance while climbing, skiing, or backpacking. Flat face stretch exterior combines with a soft, brushed interior to deliver durability, comfort, and warmth! 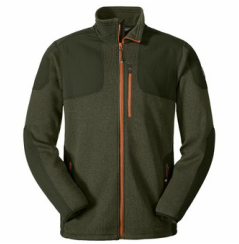 Keep your Dad stylish with the Eddie Bauer ​Men's Daybreak IR Fleece Jacket! Next-gen infrared technology will keep him warmer longer in the field with the thermally efficient FreeHeat™ fleece. The dense, lightweight fleece resists wind and weather and includes three zip pockets to keep essentials secure. 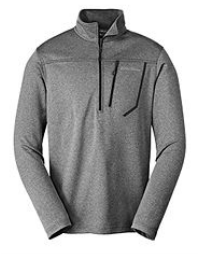 Keep Dad warm with the Terramar Thermawool Half-zip! Terramar knows how to engineer natural fibers for a performance base layer. They have been doing it for more than forty years! The Thermawool Men’s Half Zip is designed to keep Dad warm, dry and comfortable in the mountains, in the woods and any other place he needs it. The secret is in the merino wool and microfiber blend, they make the ideal technical fabric to breathe and manage moisture. This is a gift that will keep Dad warm and looking stylish! 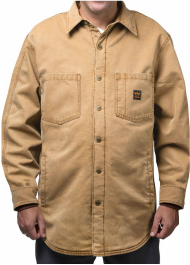 For the Dad that loves work with his hands, the Walls® Vintage Duck Shirt Jacket makes the perfect gift. Rough and tumble on the outside, soft fleece buffalo-print lining on the inside. The vintage jacket feels like butter. Built with extra room in the elbows and back so nails don’t get bent when he's swinging a hammer. It comes complete with 6 utility pockets that won’t get in his way. The jacket is made with premium 10 oz. duck fabric that is sanded and stonewashed to create a weathered “lived-in” look. 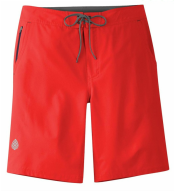 For the Dad that loves a swimming adventure, the ​stio CFS Board Short is a perfect gift. The shorts are made with Sphero™ HO stretch poplin, which is a durable poly/spandex blend with a DWR finish. The shorts are abrasion resistant and shed water and meant to last! The shorts come in two lengths so make sure to pick the right size and color for Dad! A Dad that loves the outdoors needs shorts that can keep him dry and supported throughout his journey. 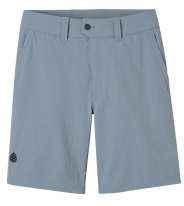 The stio Crester Soft Shell Short is the ideal option for the adventurous Dad and features a double weave soft shell that is ideal for climbing and hiking. It makes for a phenomenal mountain biking overshort that is super durable and dries quickly! For the adventurous Dad, the Thule Versant 60L Backpacking Pack is the perfect gift! ​This perfectly-sized packs for 3- to 5-day adventures come loaded with features like a customizable hipbelt, easy access pockets and a lid that converts into a sling! Your Dad will be ready for an adventure in no time! Is Dad a huge Star Wars fan? If so, he will love transporting essential items to a galaxy far, far away with Disney's Star Wars Messenger Bag! Fashioned in a soft faux suede, the front flap is embossed with the iconic Star Wars logo. The inside lining of the bag features classic Star Wars symbols. Your Dad will not leave home without it! Keep your Dad ready for anything with the ​stylish Lipault Original Plume 19" Weekend Bag! Whether he is jetsetting on an overnight adventure or just needs a carry-on for a longer trip this bag is perfect for it all! The bag comes in five colors and its main compartment offers packing capacity and organization. It can also be slipped over wheeled luggage with its back strap. Made with durable and water resistant nylon this bag weighs 2.2 lbs and makes a wonderful gift for Dad! 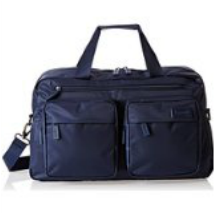 For the globetrotting Dad, the Lipault 0% Pliable 28" Upright is the perfect companion! The bag is roomy, lightweight and folds flat for easy storage. The bag even comes with it's own storage case! The upright comes in four vibrant colors, features a fully lined interior and is durable and water resistant with PVC reinforced Nylon. The bag comes with a 3-year guarantee, weighs 7.8 lbs and makes a great gift for Dad! For the stylish Dad on the go, ​the Hartmann InnovAire Medium Journey Spinner is the perfect gift! The ​shell of the suitcase is constructed of Curv®, which is an innovative woven layering technique. Curv® is one of the strongest, lightest and most scratch-resistant materials available! The suitcase has smooth gliding spinner wheels, a leather top carry handle, a TSA mounted security lock, zippered organizational pockets and lots of packing compartments! The suitcase only weighs 6.4 lbs and will be your Dad's favorite traveling companion! For the camping Dad, LifeStraw Steel makes the perfect gift. The LifeStraw is ideal for hiking, backpacking, camping and travel. The 2-stage filtration process removes bacteria and protozoa and reduces organic chemical matter and chlorine from water to make it drinkable. For every LifeStraw product sold, a child in a developing country receives clean, safe drinking water for an entire school year. Give Dad a gift that gives and keeps him safe and healthy! Keep your adventurous Dad protected with the Thermacell Mosquito Repellent Scout Lantern. The lantern provides powerful portable light and creates a 15 ft x 15 ft zone of protection against mosquitoes and black flies. The lantern provides 40 hours of light run time on Low setting while keeping silent and virtually odorless. This is the perfect gift for a Dad that loves outdoor BBQ's or Camping! 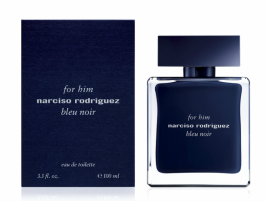 Give your Dad a mysterious edge with Narciso Rodriguez 'For Him Bleu Noir' Eau de Toilette. The distinctive musk at its core is intensified with hints of nutmeg and a touch of blue cedar. It's a smart scent that will always be timeless and a Dad favorite. Give your Father a powerful, ultra-masculine and sophisticated signature scent with Issey Miyake's L'Eau D'Issey Pour Homme. The fragrance features notes of grapefruit, marine accord and vetiver. It's definitely a scent he won't forget! 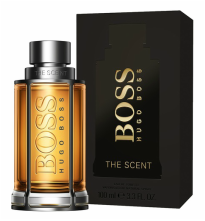 Surprise your Father with an irresistible fragrance by Hugo Boss, BOSS THE SCENT! It's a new seductive perfume for men. The fragrance features exquisite notes of ginger, exotic maninka and leather. The scent seduces the senses and will surely be a scent he loves to wear! Give your Dad a fragrance that captures the mind, body and heart it takes to endure and push beyond one's own limits. 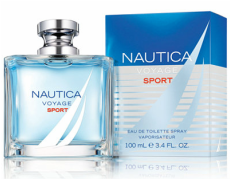 The ​Nautica Voyage Sport speaks to the man with a competitive spirit, who commits to every task! ​Give the gift of satisfaction. This set includes a standard bottle for home and a pocket-sized trial bottle for travel. Support Dad's hair, skin and nails from the inside with Bosley Professionals Strength Men's Healthy Hair Supplement. Men's Healthy Hair Supplements are internal supplements that supports and optimizes hair follicle function and promote healthy hair growth with vitamins and Saw Palmetto a natural DHT inhibitor. You will help Dad get his youth back with these great supplements! Give your Dad a healthy masculine glow with Jack Black's most popular skincare products! The Jack Black About Face Set includes the Double-Duty Face Moisturizer, Beard Lube® Conditioning Shave, Face Buff Energizing Scrub and comes in a travel tote! The set is an incredible value at a great price and will keep your Dad hydrated and happy! 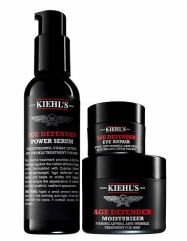 Give your Dad the gift of youth with Kiehl's Age Defender Collection! The trio helps protect Dad's skin from the signs of aging. The Age Defender Power Serum, helps visibly firm sagging skin and reduce the appearance of wrinkles; The Age Defender Moisturizer utilizes dual-action technology to exfoliate while increasing firmness; the Age Defender Eye Repair instantly brightens the appearance of dark circles and smooths and firms skin to improve the appearance of crow’s feet and under-eye bags. Your Dad will look and feel younger in no time! 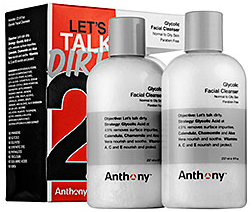 Give your Dad a gift of skincare with Anthony Let’s Talk Dirty Duo. The two-piece set features 2 creamy, three-in-one lotion cleansers enriched with glycolic acid. This set is perfect for a Dad on the go. The triple essential formula thoroughly cleanses the face and neck, gently removes dead skin cells, and helps to soften and lift beard hairs. Glycolic acid works to prevent ingrown hairs and razor bumps, and allows more minute hairs to be cut. Spoil your Dad with a Rituals Samurai Gift Set! The set contains luxurious skincare products including a shower foam, cooling shower gel, body scrub and shaving cream. 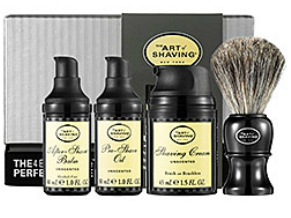 The set is specially designed for men and has a nice masculine scent perfect for any Dad! Give your Dad the gift of a perfect shave. The Art of Shaving 4 Elements of the Perfect Shave™ system helps Dad's shave become a pleasure instead of a chore! With unique blends of botanical ingredients and 100% pure essential oils, these shave-perfecting formulas are ideal for men with sensitive skin, ingrown hair, razor burn, or tough beards. They are hypoallergenic and free of alcohol, synthetic dyes, synthetic fragrance, and other ingredients that can be harmful when absorbed into the skin. Does your Dad have a beard? If he does, the Bluebeards Fresh Mint Beard Duo makes the perfect gift! It contains peppermint oils to add shine and awaken skin. The full size Fresh Mint Beard Wash and Conditioner beard grooming kit will leave his beard clean and soft. Keep your Dad's skin free of ingrown hairs using these Completely Bare pads. They help get rid of bumps and ingrown hairs anywhere on the body that are the result of waxing or depilatory creams. They contain both glycolic acid and salicylic acid to help prep the skin and clean the sebum. Give your Father the gift of a clean shave with the Remington® Lithium Power Series Head-To-Toe Grooming Kit. The kit puts all his grooming needs together into a single package. The self-sharpening, surgical steel blades are strong and long-lasting, delivering precision and comfort. 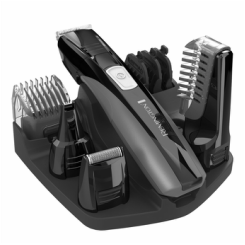 The fully washable attachment set, including a vertical body hair trimming attachment, enables him to trim, detail, or shave any unwanted hair. Plus, the rechargeable, lithium battery provides 60 minutes of cordless runtime! Is your Dad sometimes a big KID? Let him be a kid with the ​Firefly Star Wars Light Up Timer Toothbrush! This Star Wars themed toothbrush is fun and includes flashing lights and sound effects! The light and sounds are timed to 1 minute and the timer turns off automatically signaling Dad to stop brushing the top row of teeth and begin brushing the bottom row. The batteries included last the life of the toothbrush and cannot be replaced​. Let the FORCE be with Dad while he is brushing his teeth! If your Dad loves to fly he will love the Hobbico Verso Drone! ​This little drone is able to takeoff, fly, and land inverted thanks to its reversing motors! It can also switch quickly between inverted and regular flight with one push of the Invert/Flip button. Once inverted, flight assistance technology eliminates the confusing control reversal inverted flight usually entails. The Verso includes three selectable flight modes and can handle the routine dings that indoor flights dish out. LED lights keep Dad oriented and help to fly in low light conditions. Let your Dad take off with this cool drone! Get your Dad into the drone craze with the world's smallest drone- Proto-X Nano Drone! The drone is available in six cool colors and is not only the world's smallest quadcopter, it's also one of the world's lightest multi-rotor helis. The 50 mm Proto-X is ideal for indoor flying and weighs only 11.5 g, which is just four-tenths of an ounce. Bright, built-in LEDs make it easy to see the Proto-X in low-light conditions. A 3.7V 100mAh LiPo battery, USB charge cord and spare rotor blades are also included in the ready-to-fly package! This is definitely a gift that will make your Dad feel like a kid again! 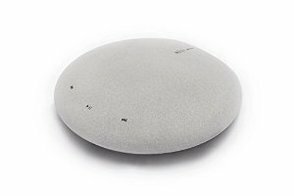 For the techie Dad that loves music, the MUZO Cobblestone is the perfect gift! It may look like a UFO, but the Muzo is a Wi-Fi Audio Receiver that makes your speakers wireless. Now Dad can control music play to speakers without having to connect an audio cable. The Cobblestone is easy to set-up, its as easy as connecting the Cobblestone to a speaker, amplifier or receiver, and configure the Cobblestone to a Wi-Fi network with the MUZO Player app and start streaming music! Your Dad will be jamming in no time! ​Give your Dad on the go the sleek, fast and powerful HTC 10! The phone is one of the most advanced Android phones out on the market today. The HTC 10 comes in both an unlocked GSM, for use on carriers like AT&T and T-Mobile, and a CDMA version, for use on Verizon. With superb 24-bit Hi-Res sound and the world’s first* Optical Image Stabilization in both front and back cameras this is the phone he will want! Keep your Father's cell phones to tablets protected with UAG! Inspired by adrenaline-fueled outdoor adventures throughout Southern California, Urban Armor Gear (UAG) delivers mobile accessories and cases developed to survive rugged terrains while protecting them throughout any journey. Urban Armor Gear’s innovative, lightweight yet durable designs constantly evolve to provide high-quality accessories to preserve the latest tech gear on the market. Every single UAG product receives a military grade certification for protection against shock by enduring rigorous laboratory drop testing. Give your Dad the gift of high quality sound with the JBL Everest Elite 700 Wireless Over-the-Ear Headphones! These bluetooth headphones feature NXTGen Active Noise Canceling technology and JBL Pro Audio Sound with 40mm drivers, so he will enjoy rich, enhanced audio for all his favorite music! Give your Dad the gift of music with ​the JAM Transit! These wireless headphones sound amazing without the headphone bulk. 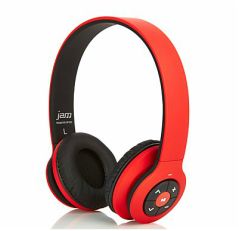 Lightweight and super comfortable, they’re the perfect on-ear headphones for light to moderate activity. Raised controls on the ear cup make cranking the volume or skipping tracks a snap! Your Dad will be jamming in no time! Give your Dad a unique listening experience with 1More Triple Driver In-Ear Headphones! Three Drivers - two balanced armatures and a separate dynamic driver deliver an extremely accurate listening experience with unsurpassed dynamic power. The headphones are expertly tuned by Grammy Award Winning Sound Engineer, Luca Bignardi, to deliver a precise representation of Dad's favorite music! The headphones also feature a comfortable Ergonomic Design. 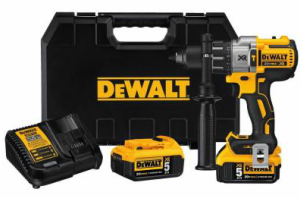 For the handy Dad, The DeWalt DCD996P2 Hammer drill driver is the ideal gift. It is used for most drilling and hammering applications. This hammer drill features an innovative brushless design. The 20-Volt Max Lithium Ion battery packs are designed for long runtime and shelf life. The drill also features an LED spotlight mode with a twenty minute shutoff function allowing for extended work time in dark or confined spaces. For the Dad that likes to take care of his yard, the WORX Turbine 600 Electric Leaf Blower is the perfect gift! The turbine fan technology delivers forceful, high-capacity air volume. Variable speed control helps to quickly clean up outdoor spaces. The blower also features a Hyper-Stream air nozzle for extra tough conditions! For the Dad with a green thumb, the WORX 20V Trimmer and Edger is a good choice. The tool converts from a string trimmer to a wheeled edger in just seconds! It also features two powerful and lightweight MaxLithium batteries and twin wheels that supports and guides the edger. ​Give Dad a taste of Napa with "Jack's Masterpiece" Cabernet Sauvignon". In creating this unique blend, HALL Napa Valley realized the great potential of their vineyard sources in St. Helena. Unique for its gravelly, low vigor soils and cooling influence of Pacific breezes, the fruit in this region produces a stylistically lush, aromatic wine with a dense core of dark briar fruit. Their 2013 “Jack’s Masterpiece” is a beautiful and powerful blend, with an incremental flavor profile that just goes on and on. Blackberries, cassis, a hint of espresso roast, and possibly a touch of chocolate, are all present in this sensational wine which makes this a perfect bottle of wine to share with Dad! ​If your Dad is a chocoholic and loves sports he will fall in love with the FORE! Gift Set by Kohler! 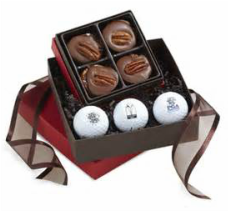 The set of indulgence includes four buttery Terrapins and three collector golf balls with logos from Whistling Straits®, Blackwolf Run® and The Old Course. This is definitely a gift he will enjoy! We know all about Dad's sweet tooth. 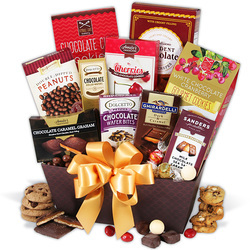 That's why, for Father's Day we love this impressive arrangement of coveted gourmet chocolates! Inside a gorgeous keepsake basket, Dad will find irresistible treats, like rich truffles, crisp all-natural cookies, and chocolate filled wafers, making Father's Day this year a little extra sweet! If your Dad likes to spend his days on the water, you know how important it is for him to have snacks handy. Besides, coming up with convincing fish stories takes a lot of work. That's why the Father's Day Fishing Gift Basket makes the perfect gift! Inside the beautiful fishing creel, there's an assortment of convenient treats, like crunchy handcrafted popcorn and gummy fish that will give him energy all day long! For the Dad that loves grilling, the Chef's Choice Cast Iron Grill makes the perfect gift! Your Dad will enjoy delicious, grilled taste, year round with the indoor grill. 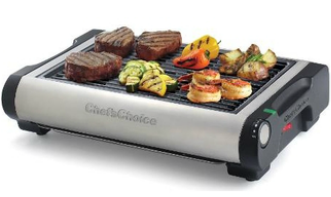 With 1500 watts of power, the grill is ideal for searing steaks, hamburgers, veggies and more! The heavy-duty cast iron grill plate provides even, consistent grilling temperature. Grease and oils drain away during grilling for healthy cooking. Overall grill size is 18 15/16″ L x 11 7/8″ D x 4 1/2″ H and has adjustable power controls for grilling different types of food. This is one gift your Dad will love to use! Does your Dad love BBQ's? If he does, he will love the useful must-have tool called Bear Paws! Extremely sharp and easy to grip, Bear Paws make it much quicker to shred pork or chicken than anything ever used before, such as forks! Gently pull the paws through the meat and let the tines do the work gliding along the cutting board surface - no poking, digging, or hard pulling needed. In addition to pulling meat, Bear Paws are extremely versatile and also work for all types of kitchen uses, including handling turkeys, hams, roasts, large fruit and vegetables, as well as tossing salads and pastas! For a Dad that loves to wine and dine, the Picnic Time Cabernet Wine Tool Set makes an elegant gift. 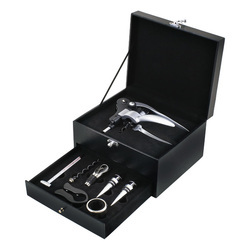 The Cabernet is an eight-piece box set of wine accessories that includes 1 lever-style cork-pull, 2 bottle stoppers, 1 drip ring, 1 foil cutter, 1 pourer/stopper, 1 wine thermometer, and 1 extra cork-pull. The box measures 8-11/16" x 7-3/16" x 4-7/8" and is made of black premium leatherette with white accent stitching. The Cabernet makes a thoughtful gift for your wine-loving Dad! ​Take your Dad's soccer skills to the next level and have him learn from one of the greatest soccer players in the world with the Leo Messi Foot Bubbles! These Foot Bubbles turn traditional bubbles into a product that he can juggle with his feet. 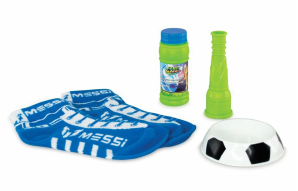 The Super Solution is specially formulated and made to bounce off feet when used with the specially designed Messi socks! This will be hours of fun with Dad! Is your Father a pop culture or comic book junkie? If so, the Loot Crate is the perfect gift! The Loot Crate is a curated box that is mailed every month with collectibles, apparel, gadgets, art and other epic gear from the hottest entertainment and consumer product companies in the world, including Star Wars, Disney, Marvel, DC, Star Trek, Nintendo, Hasbro, Mattel and many more! The box contains items that are valued at $45+ and can be purchased individually or as a subscription.